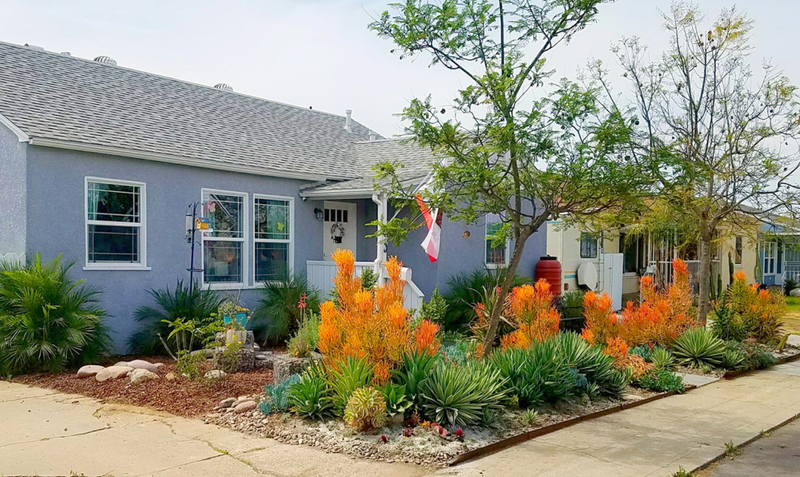 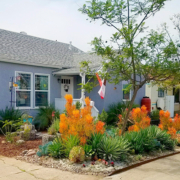 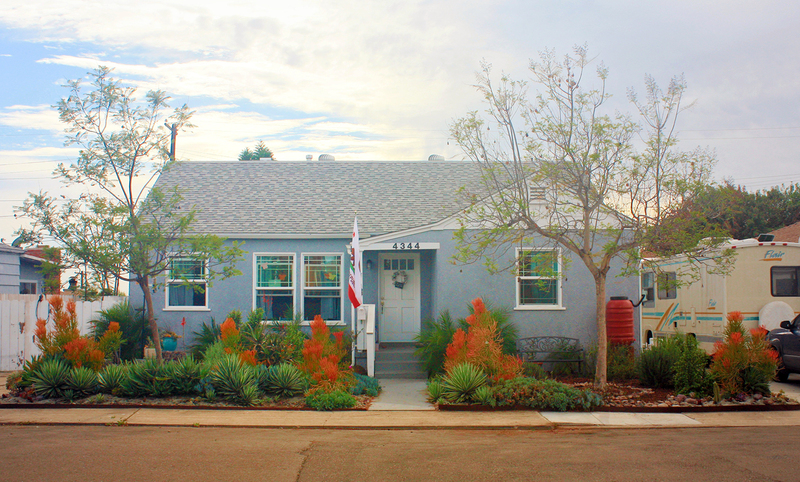 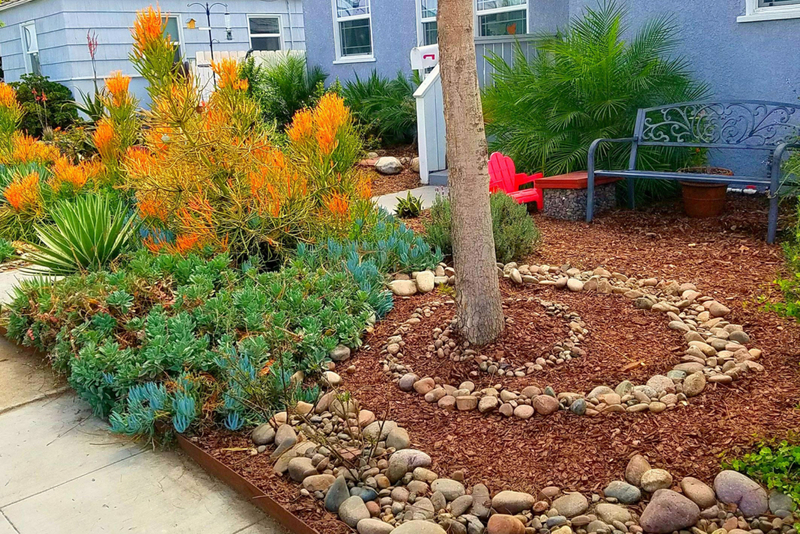 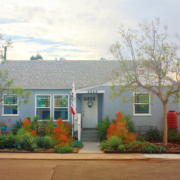 The front yard’s grass was replaced with an aesthetic water-conscious landscape. 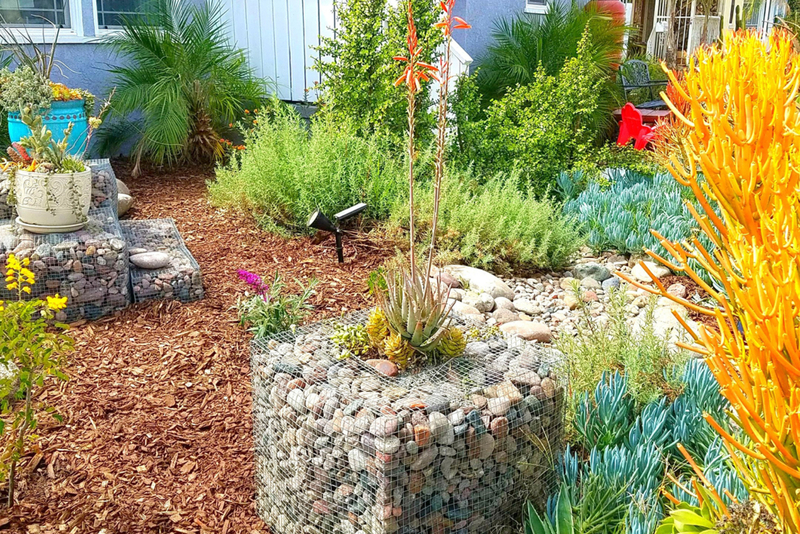 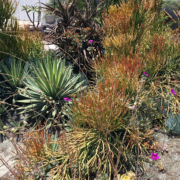 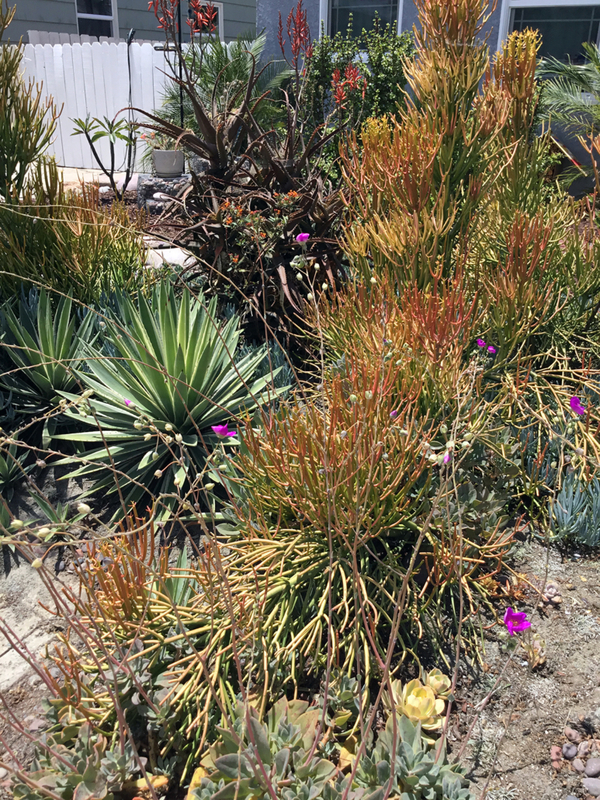 Most of the new drought tolerant plants are cuttings provided by neighbors. 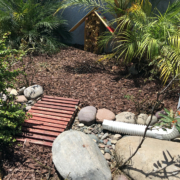 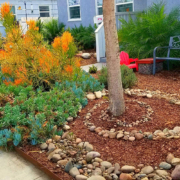 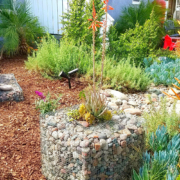 The design and work was done by the homeowners who included a rain barrel and redirected a downspout into the landscape. 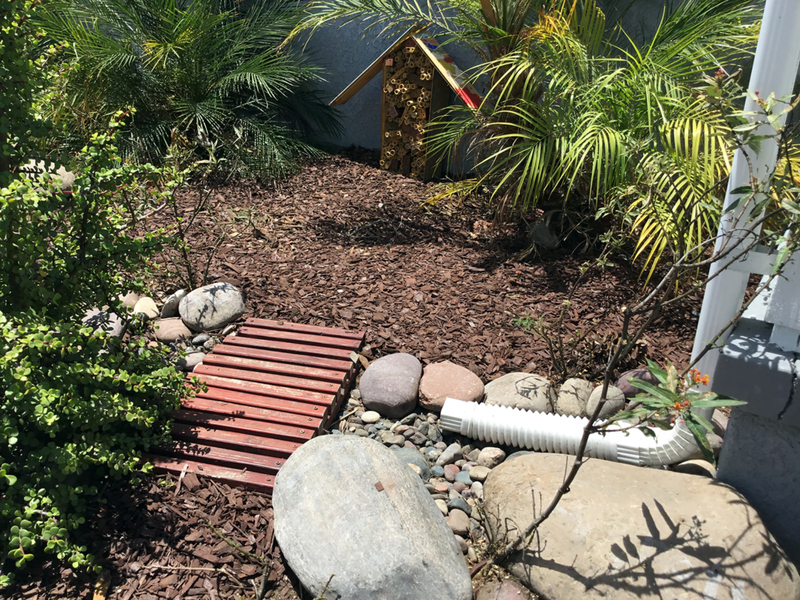 They also included a bee house to shelter bees.